At the very heart of you is the pure light of God. This light has the ability to change your thinking and change your outer world. It is a light which, like a flame when fanned, can fill every cell, every fiber of your being and transform you. Fanning this flame means giving the light within you a time of focused attention. Your imagination holds the key to transforming your life. What you believe can be achieved. Even before you believe something is true, you can allow the possibility to be there and imagine it to be true. Wherever you focus your attention, your life-force energy will follow. Continue to breathe and imagine this light expanding behind your shoulders and down your back, feel it filling every organ and every cell. This is the light of pure spirit, the healing love of God. This light fills you with the Divine presence and radiates from you in waves of love. Now imagine this light shining from you and blessing your house, the area where you live and the planet. Imagine this loving light blessing all the people you meet today. It’s a good feeling to send light to others as well as to yourself. This light promotes healing energy in the world around you and in your own body. Peace begins within the heart of each person individually. God’s light, shining from the heart of each person on Earth, would bring peace to the planet and transform the world. It’s safe to let your light shine. Maybe when you were a child, it did not feel safe to be who you really were inside — innocent, trusting and filled with the light of love. But the consciousness of the people in the world is beginning to change. Now people everywhere are turning to spirituality as the only place where they can find true peace and happiness. They are longing for more sweetness and love in their lives. So the Angels say, “Fear not.” When you shine your love light on the world, you will be a loving presence. You don’t have to say anything. Your energy alone will have a transforming effect. The visualization of the flame of love in your heart shining out to the people of Earth is very potent. No matter what is happening around you, keep this visualization moving through you. It takes a little practice, but it will have a healing effect even if you can’t see it. Just your willingness to imagine it is enough to create a light shining from within you. This light is that which connects you and everyone around you to the infinite power of Divine Love. The master Jesus suggested that your light should not be hidden under a bushel. 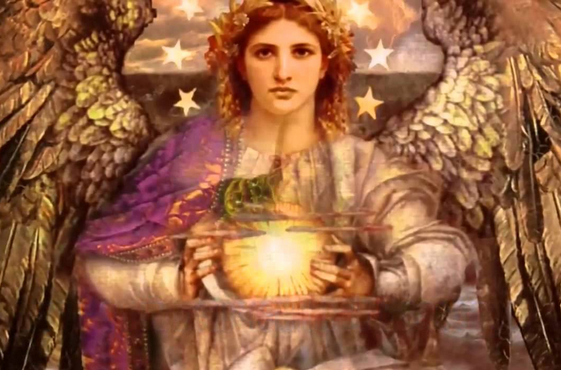 Let your light shine forth to bless the world, every area in your life and bring the true Divine Radiance of God into the awakening of new life you are all experiencing. It’s safe to let your Light shine!